Just ten minutes south of Ann Arbor and forty minutes from Detroit, Pittsfield is a charming place to live and work in southeastern Michigan. Its proximity to major cities enables residents to enjoy big city culture, dining and entertainment. Whether it’s the largest street art fair in North America, musicals at the Ann Arbor Civic Theatre or The Encore, or driving over to “Hockeytown” to watch the Red Wings dominate, with such a wide variety of activities, the hardest part for Pittsfield residents is choosing between them. The town of Pittsfield is home to beautiful public parks and preserves with plans to establish a non-motorized pathway as part of its green initiative. Pittsfield is known for the excellent quality of life enjoyed by its residents: great schools, low taxes, and easy access to major roads and airports. Whether you’re looking for a bargain or shopping for the perfect gift, you’ll love living in Pittsfield, just minutes from the bustling shopping hubs in Ann Arbor and Ypsilanti. On one hand, the shopping scene definitely caters to the college crowd; both local retailers and nationally recognized stores stock the hottest trends and styles. On the other hand, the number and diversity of stores make it possible for locals to find that one-of-a-kind item. There are many Park and Ride lots in Ann Arbor, making it possible to ditch the car and ride the bus through downtown Ann Arbor. The dining scene near Pittsfield offers foodies a chance to indulge in world cuisine, such as Seoul Garden, Lai Lai or at Palm Palace, as well as favorite American comfort dishes. Haab’s Restaurant in Ypsilanti traces its history back to the 1870s, serving up big, heaping portions of American classics. You can grab a sumptuous cup of locally roasted coffee, like RoosRoasters or Mighty Good, to start your day and cap off the evening with a crisp microbrew made in town. Living in Pittsfield means you’re never far from a great place to eat or shop. 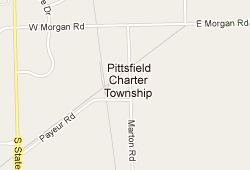 The Pittsfield community is home to beautiful parks and local sports teams for all ages. Pittsfield distinguishes itself from other towns in its ongoing effort to improve and expand public parks. For example in 2002, the city acquired 535 acres of land, which includes parts of the Huron and Saline River, now known as the Pittsfield Preserve. The Park Commission hopes to create more nature observation trails in the Pittsfield Preserve that would allow community members a better glimpse into the woods, wetlands and meadows. Lillie Park - a gorgeous family-friendly park featuring miles of ADA nature trails – used to be an abandoned quarry until it was acquired and repurposed. Currently underway, community leaders drafted a plan for a non-motorized green belt, the Lohr-Textile Greenway, which would connect Pittsfield to Saline and Ann Arbor and enhance the links between residential neighborhoods. The Pinckney State Recreation area is a great place for a day hike or horse ride, featuring beach volleyball courts, and great fishing in any of the interconnecting lakes. Golf courses of varying difficulty flank the Pittsfield community, such as the Stonebridge Golf Club just a short drive away from prime real estate in Pittsfield, MI. Pittsfield is a vibrant community with a wide spectrum of real estate and land uses: commercial sectors, business parks, farms, park land, wide open spaces, and many lovely residential neighborhoods with a variety of housing options. Median home values in Pittsfield are about $279, 500. That being said, the best feature of Pittsfield, however, is the diversity and talent of its residents. With many schools in the area, students are sure to find the curricular plan that best fits their learning abilities. 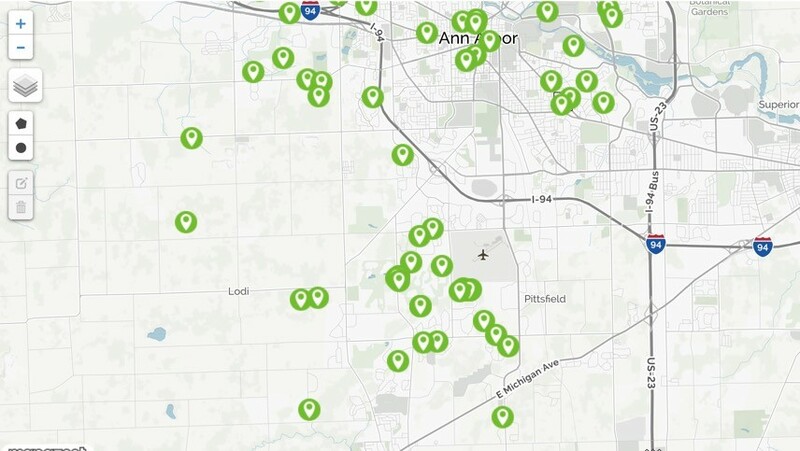 The Pittsfield community is served by schools from the Ann Arbor and Saline School Districts. Ann Arbor School District operates twenty elementary schools, one K-8 open school, five middle schools, three comprehensive high schools, three alternative high schools, three preschools and one adult education program. Saline School District is smaller in comparison, with five elementary schools, one middle school and one high school in its jurisdiction. Students gather from all corners of the world to study at the renowned University of Michigan, just north of the Pittsfield community. The University of Michigan is part of the Big Ten conference with a population of about 40,000 students yearly. In addition to the University of Michigan, there are a number of other secondary schools minutes from Pittsfield such as Washtenaw Community College, Cleary University and Concordia University Ann Arbor.